The 90's remain the most loved decade in history it seems, especially for music. R&B was at an all time and we got to see some of the greatest groups and artists during this period. Today, we wanted to narrow it down to the top 10 male groups of the 90s in the genre. First, we'll kick off with a few honorable mentions and get right into the list. 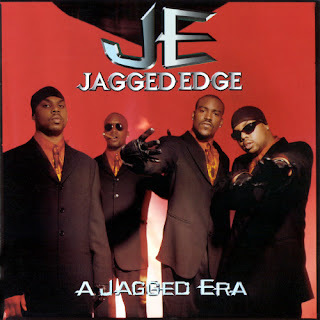 -One of the most underrated groups of the 90s. The moment you hear that infectious hook of "My... Love... do you.. ever... dream of.... candy.. coated.. Rain drops", you already know what it is. This group made a nice impact in the 90's and though they didn't have as big of an impact as some, they definitely deserve a mention when talking male groups of the 90’s. 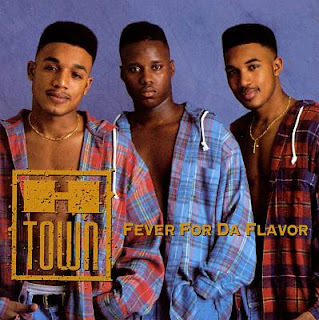 -Another group that gave us an infectious hit to forever remember. When the slow sound of "And... if I ever(ever fall)... in love... again.... I will be sure that the lady is... a friend.." catches your ear, you know Shai is singing in their eloquent harmony about a love lost. The group is known mostly for that one big hit, but they had some solid music overall. -I was never a big fan of Jagged Edge at all. The So So Def collective arrived with their A Jagged Era album in 1997 and the sounds "I Gotta Be" blasted through speakers for most of us. While they would be more proficient in the 2000s, they had an impact without a doubt in the 90's. -This group was going to be on the top 10. It was tough choosing the honorable mentions because you want to include groups like Hi-Five, Troop, and many others but Next definitely deserves the nod. 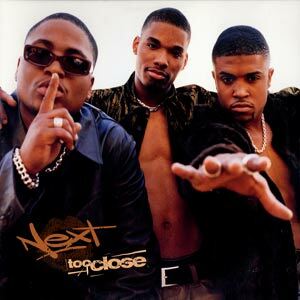 With "Butta Love" and "Too Close", the trio definitely left a mark in R&B during the decade. Now, let's get to the top 10, shall we? -The Atlanta group came along to provide Bad Boy Records with an added flare in their R&B department. The group would be very successful in the 90's, with hits such as "Cupid", "Only You", and "Anywhere". The group would see platinum success during the decade and the fact that they are just no. 10 on this list shows how vital other groups were to the decade as well. 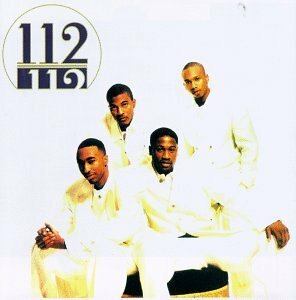 112 could be top 5 in any other group list, but the 90's had so much great music and so many legendary groups. -This group gets this slot solely for creating what I believe is the greatest bedroom anthem of the 90's in "Knockin Da Boots". They had multiple albums and other hits during this decade, but that song is what is most memorable about the trio. The slow groove with a bit of bounce to it hits you instantly on the hook as "....give me some good love.... some body rocking, Knockin Da Boots" remains in your head. H-Town might be the most slept on group of this decade, but they deserve to be on this list as well. -A pillar of consistency in the decade, we've covered this group here on the site before. The group created some big hits throughout the decade and it is possible that they should perhaps be ranked higher, as some might say top 5. 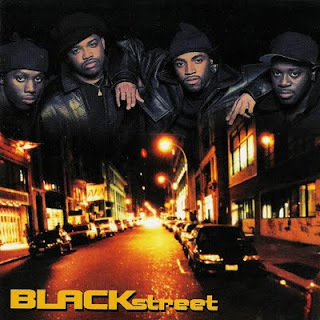 With the mega hit "No Diggity", one of the greatest "baby please stay with me" R&B anthems in "Don't Leave Me", and the smooth "Before I Let You Go", Blackstreet kept the music flowing during the 90's and they were all over our radios throughout the decade. -Now, I know. This group makes the list for one reason. Poison. 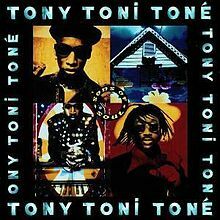 The classic album that spawned several hits, including the legendary title track, which still gets play in a large number of clubs and bars. The group would see their album go 4X platinum, and cement them as a force in R&B. Unfortunately, the follow up to Poison, titled Hootie Mack, didn't do as well. Regardless, that one album alone ensured BBD a spot on this list. -Two albums. 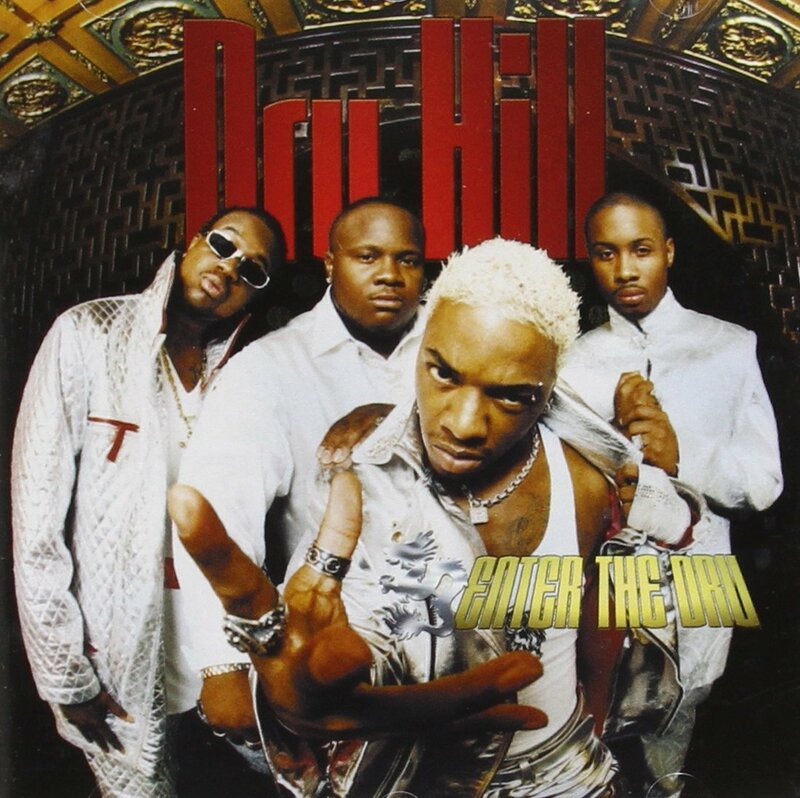 That's all it took for Dru Hill to become one of the most successful groups of the 90's. 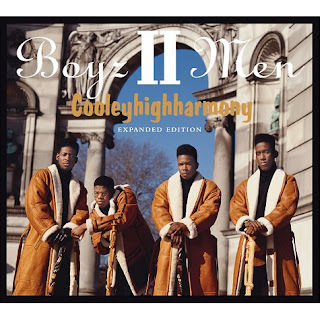 I would say they could be a bit higher, as I personally prefer them over Boyz II Men, but musically it's pretty close and Boyz II Men had much bigger success. 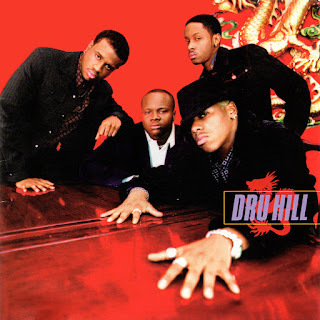 However, Dru Hill arrived on the scene with their great self titled album, full of hits like "Tell Me", "Never Make A Promise", and "In My Bed", instantly making them one of the premier groups of the decade. Their second album, Enter the Dru, featured hits like "How Deep Is Your Love" and the legendary song "Beauty", only adding to their legacy. Dru Hill was damn near unstoppable in the 90's, as every single turned out to be a hit and every song was infectious. Their harmony might be unmatched as well. -You know, when talking the great groups of the 90’s, this particular group doesn't come up enough. 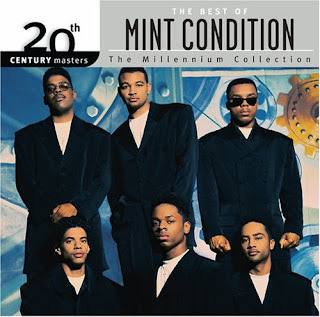 I really don't know why they don't, but one thing is for sure: Mint Condition is one of the best groups not only of the decade, but they're definitely in the conversation for the best ever. 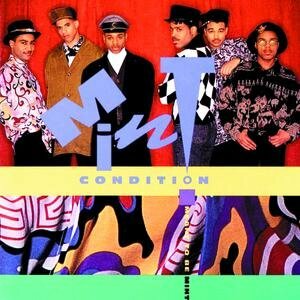 With various albums through the decade, hits like "U Send Me Swingin", "What Kind of Man Would I Be", "You Don't Have To Hurt No More", and of course their biggest hit "Breakin My Heart (Pretty Brown Eyes)", Mint Condition truly defined consistency and what R&B was about in the decade. They would close the decade out with one last big hit in "If You Love Me", and they also could possibly be ranked higher here. That's how great they are. -I know what you're thinking. Why is Boyz II Men so low on this list? Shouldn't they be top 2? Well, they definitely have a valid argument for being no. 1 or no. 2 on this list. If we were just talking success commercially? Easily the top choice of all the groups. 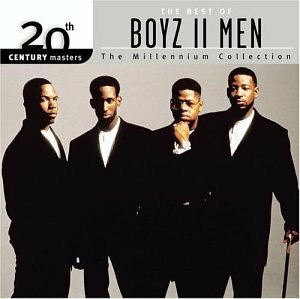 However, when speaking on classics, the quality of music, image, and everything that shaped the 90's R&B scene, Boyz II Men is still one of the greatest, but not the greatest. You can't deny their hits like "End of the Road", "Water Runs Dry", "Down On Bended Knee", and even their epic Christmas song "Let It Snow". 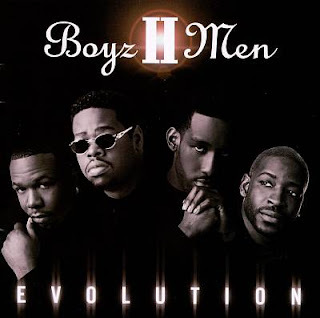 As far as visibility and hits, there's only one or two other groups that could even claim the consistency that Boyz II Men had, and those are two groups higher than them on this list. Their first two albums were great, and some would say classic, and I also enjoyed their third album, though not as much as the first two. They would start a decline however as the decade came to a close, another reason why they're not in the top 3. Regardless, Boyz II Men is the most commercially successful R&B male group of the 90's hands down and their songs still live on. -Once again, I know what you're thinking. How is Silk higher than Boyz II Men??? 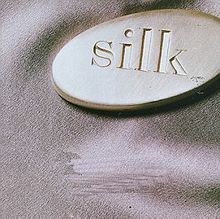 Well, when it comes to the quality of the music, honestly Silk didn't miss ONE time in the 90's. Literally every song or project they released in the 90's were absolutely amazing. The first album, Lose Control would be a classic, with hits like "Happy Days", the title track, and their no. 1 hit, the bedroom anthem "Freak Me". Their second self titled album is absolutely underrated and another classic, as they had great singles like "I Can Go Deep", "Hooked On You", and the best song on the album "Don't Rush". The group ended the decade with yet another great album titled Tonight, which featured the hits "If You", "Meeting In My Bedroom", as well as the sultry "Let's Make Love". 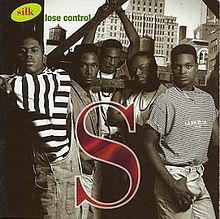 Silk had nothing but hits and classics in the 90's and they never experienced any decline during the decade. 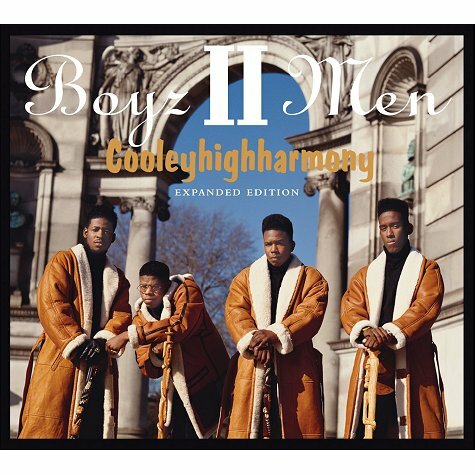 Truly one of the greatest groups of all time and my personal 2nd favorite R&B group ever. -I've always been a fan of the genius within Raphael Saadiq, and this is the origin of that genius. 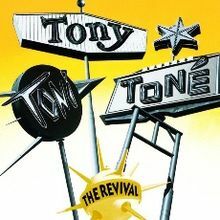 The West Coast based group would kick off the 90's with their amazing classic album The Revival, which spawned the hits "Feels Good", It Never Rains (In Southern California", and "Whatever You Want". 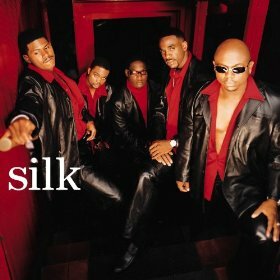 Their Sons of Soul album would birth their mega hit "Anniversary", along with the smooth "(Lay Your Head On My) Pillow" and the relaxing "Slow Wine". The group dropped hit after hit, and their last album House of Music would garner them more hits as they went into a slightly different direction musically. The reason why they are so high on this list comes down to music quality, consistency, and the talent displayed by each member. Most of their music was self written and self produced, something that can't be said for many artists during the decade. Tony! Toni! Tone! definitely still lives on and their music will never die. -You knew this was coming. As you scrolled down and saw the other choices, you knew this was the last one remaining. 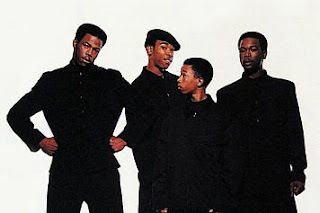 Now, I'm sure there are some people who preferred the more sensitive image of Boyz II Men, but Jodeci was more rooted in reality than any other R&B group could be. 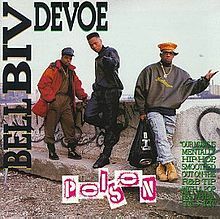 There's never been a group quite like this quartet, with Devante Swing handling most of the production and writing duties for the group. Their classic first album Forever My Lady is still timeless, as you can play the hits like the title track, "Stay", "U&I", "Come and Talk To Me", and "Gotta Love" to this day. 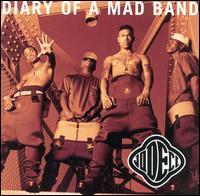 Their second album Diary of A Mad Band is another timeless classic as well, this one featuring a more rugged sound, but just as many hits such as "My Heart Belongs To U", "Feenin", "Cry For You", "Alone", and "What About Us". Their first two albums were truly classic, and while some people have panned their third album, the conceptual The Show, The After-Party, The Hotel, I believe this is yet another classic album. 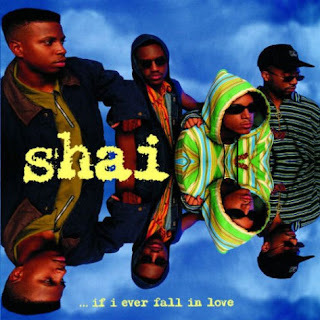 While it was a bit heavy on skits, musically how could you go wrong with hits like "Freek'n You", "Get On Up", "Good Luv", and my personal favorite song from the album, "Love U 4 Life". 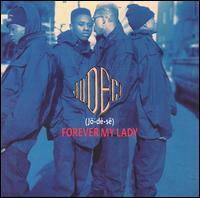 When it comes to the 90's, there was no male R&B group that did it better than Jodeci. Simple as that. If you have remarks or your own top 10 list of male R&B groups of the 90’s, post it below in our comments section.